The use of Information and Communication Technologies (ICTs) and social media became a key characteristic of mixed migration flows to Europe in 2015 and 2016. 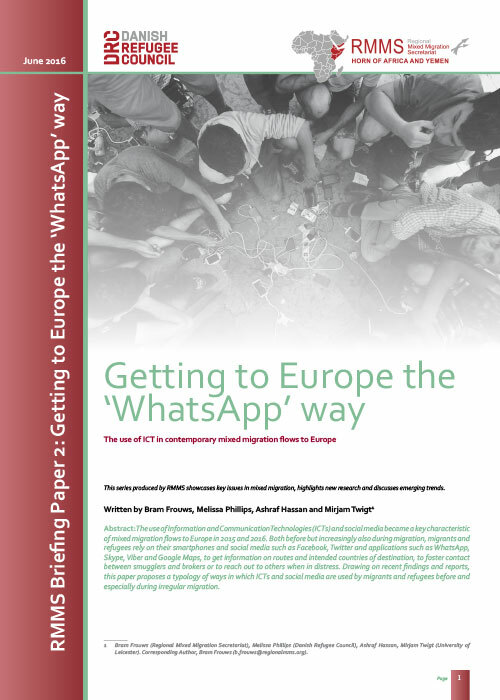 Both before but increasingly also during migration, migrants and refugees rely on their smartphones and social media such as Facebook, Twitter and applications such as WhatsApp, Skype, Viber and Google Maps, to get information on routes and intended countries of destination, to foster contact between smugglers and brokers or to reach out to others when in distress. Drawing on recent findings and reports, this paper proposes a typology of ways in which ICTs and social media are used by migrants and refugees before and especially during irregular migration.